down payment. It can be $100,000 waiting for you. Here is where to check your eligibility, where you can apply and much more. Grants can be found in all fifty states—you just have to be on the look out. There are many variables for you to lock up on this “free money…” however the rewards are ways worth it, when you are willing to go after it. Well, I did not get to “exactly” $100,000 but you will not say that I lied to you either: $100,000 round figure sounds more catchy in the headline… I think you will agree that it came darn close. Please read this page “Grants Examples” for further details. However I have studied enough to be able to affirm that home buying grant are indeed available in all 50 states! For now I will give a few examples to make you a “believer” and you can start looking in your state. I am gathering data that, in a later date, I will give a more detailed availability state by state where my visitors can go or call for help. Sorry that I am not there yet – it is a lot of work! Give me some time and please come back for another visit -- let's see what I can do. In Georgia, where I work more closely with our local home buying grants, I already have compiled a very significant body of information. Albeit not intended to “all what is out there” there is plenty of good info here that will pay your while to read. As I demonstrate in details on this and other pages home buying grants are available for first time buyer in all 50 states. I would like for you to read two good examples to be a believer. Please click here to visit my page “Grants Examples” if you still have not done so. As I advise all along that it is necessary to be diligent and pay close attention what a DPA or grant offers and how each one of them works. In other words, not all home buying grants or DPAs are created equal. Call and ask if you would qualify. If you do not, ask if they would know. These people are more informed than you and I will ever be. However with tens of thousands of dollars out there that can be yours for the being the right person at the right place at the right time, you diligence could pay big! Now - that I made you a convert - LOL - let’s examine some more closely on some ways it works. Grants can be given for many reasons like attract a certain type of professionals, improve a designated area and simply to give people an opportunity to home ownership. It is important to understand that both down payment assistance and grants are used for the purpose of purchasing a primary residence for low and mid income buyers. These home buying grants are designed to help homebuyers who need assistance with down payment and/or closing costs. Although most of the programs specifically target first time homebuyers, some will be more open. Never “assume” – always call and ask if you would qualify! Generally a first time homebuyer is defined as a person who has not owned a home in the three years prior to applying for the grant(s). However I have at least one program in Atlanta that requires just 18 months! Unfortunately not everyone will benefit from all home buying grants because most of these grants are created for specific areas and with some professionals in mind and sometime during the year, funds run out. …And independently to these initial requisites and other points I make below, eligibility is always tide up to low and medium income recipients. Even so I encourage you to look closely and always call the appropriate people responsible for signing you in. Another thing I need to point out is that grants are “income sensitive.” People earning above certain threshold – even if passed by just a couple of hundreds of dollars – will be flagged. …Sorry to say, but too low income also gets flagged: They want to have reasonable assurances the borrower will have the finance ability to keep the place. When I worked with my example buyer #2 that I present as I case study on my already mentioned page “Grants Examples,” throughout the period we were waiting to close, we were always concerned that computation of her overtime earning would jeopardize her grants. It may vary, however there is always an appreciable percentage of the purchase price that will be given, so to make a difference. There are some home buying grants that are distributed with no limitation of geographic area where you want to buy a property. Others, like the ones created by a TAD, are targeted to a specific area. If the property you intend to by is one block out of that designated area, you will NOT receive a grant from this fund. I have seen this happen for one of my buyers. A brand new condominium was built just a block outside the TAD. The developers thought they could bridge the gap with the city of Atlanta… Well tried as they might, they couldn’t. The are was not extended beyond the initial designation. Some grants are geared toward attracting targeted professionals such as fire fighters, police officers, teachers and health professionals. If you are in the professions targeted, you should do some calling around. Home buying grants are given out in the assumption that you are going to live in the home for a long time. As you may already have seen on my page “Grants Examples” if you are willing to do you homework and if you meet the criteria it is possible to receive tens of thousands of dollars. One of my clients qualified to the upwards of over $95,000. However, as I already pointed out, not all grants are created equal! Some of the grant’s funds are required to be returned to agency that gave you the funds in the first place. No matter how long you own the home, when sold, that portion of the funds that was granted to you has to return to entity that originated it in the first place. Even so, you can keep that money for 30 years, when you sell the property, is percentage wise much small than when you got it. Now here is a better piece of news: On the opposite hand, there are many grants that do no require to be paid back. Yep! That is right. Some of these grants have a “diminishing value” as the years go by and eventually are eliminated completely. So your obligation to repay comes to an end and the lien is lifted. And there will a time that you will own it all outright! …even if, after this period of time, you sell the property. And if you sell the property after the “phasing out” period has begun, that percentage already vested will be yours! One of my clients got a grant for $25,100 (good chunk of money, hum?!) It will start to phase out in 5 years and will be gone all completely in 10 years. Hooray! That means, what I call here “free money!” – The equivalent of $2,510 extra money for you every year! I do not know what else can I tell you to topple that! Well, except, maybe… Always make sure which kind of grant (s) - you are getting. And, yes! They can be combined! NOTE: I think that, by now, you may realized why I bombarded you we my “Grants Examples” page – I want to make darn sure that – if you think that you are eligible, that you do your homework and start applying right away. If you are a teacher, a police officer, a fire fighter, or a health professional it is very possible that there is “a good chunk of money with your name on it” just a phone call away. Grant programs will place a lien on the property whose owner received the DPA. This will be in the form of a 2nd mortgage. If a homeowner sells his/her property or refinance to cash out equity while there is still a lien on the property, he will need to return the part that was bought with the assistance. 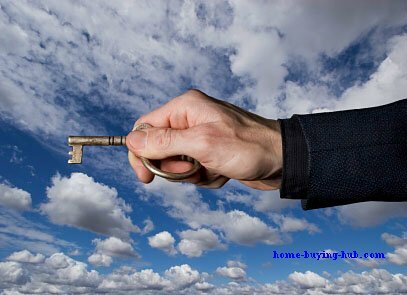 There is a lot of money and trust the various levels of government put forth to make the home buying grants work. So to preserve the integrity of the program some safety majors must be put in place. A lien will prevent a home buying grant recipient from taking advantage of the DPA by selling the property in a short time and pocketing the equity on the house. This way, the equity is protected. If you really mean to buy and live there, upon meeting other requirements then you will receive the grant with no problems. I know that you are an honest and honorable person who needs a decent place to live and you do intend to live there and call it home. However anybody out there will have some inkling of pulling a fast one on the public money and trust, he/she will not go very far: The 2nd mortgage lien will prevent him from doing so. Use it for the benefit you to afford a nice place for you to call home and it is yours! If somebody thinks of taking advantage of what was designed for the betterment of the common good – then the money has to be returned so it can go to the general fund and benefit another person who really needs it! Note: If you get more than one grant, you will have one lien for each of those. So, again, make sure you understand if they have to be paid back or not. During the time you occupy the home you bought with the benefit of a grant you do not make payment on that part of the principal and you do not pay interest either. This applies to all of them ...at least I never heard of that did. When using a TAD, a city designates a specific geographic area that has the potential for redevelopment, but – at the time - suffers from “economically or socially distressed” conditions. Home buying grants given in connection with a TAD, just can be used to buy properties in geographical area that it was created in the first place. Checking for Home Buying Grants is but one of the ten most important steps that will lead you to a successful purchase of your new home!